Our structural beam which has been routered with a 5 axis CNC in Poland and charred in the UK is now ready for assembly, stay tuned ! 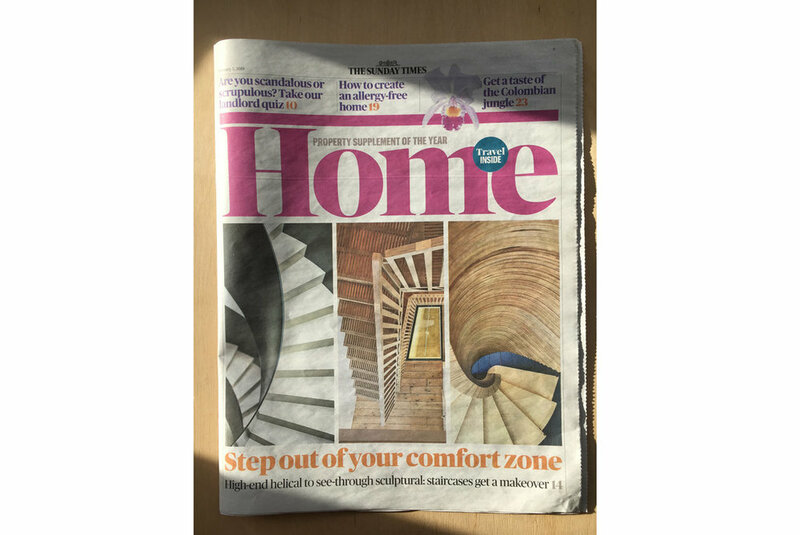 The staircase for our project Marie's Wardrobe was featured in an article in The Sunday Times today, along with some other brilliant staircases. Thank you very much for the great piece. In the lecture titled “ File to Site”, he will be talking about his projects that have been exploring the customisation of building elements from furniture to structure on a conventional building site with the help of digital fabrication. We are delighted that our project, Marie's Wardrobe, has been shortlisted along with other great projects, for the prestigious Wood Awards 2018! We are looking for a committed, recent Part 2 graduate to join our studio to work on projects that will be going on site. This is an opportunity to get hands on experience and would be ideal for a candidate who seeks to take their Part3 exam. Techie nerds and SketchUp gurus may have an advantage. We are delighted that The Evening Standard has featured our project, Marie's Wardrobe. 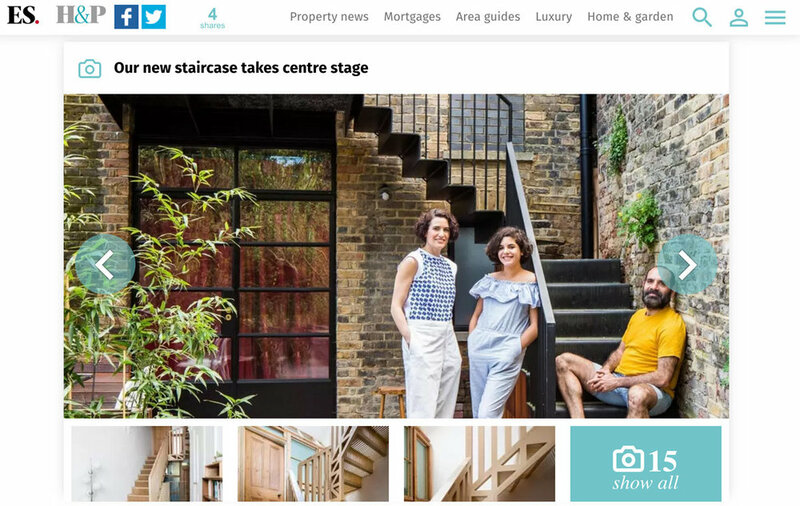 The article, was written by Philippa Stockley after visiting the project and meeting the client and includes more photos of the house and staircase! We are honoured and delighted to have received the prestigious award, Building Design The Architect of the Year 2018 under the category Refurbishment Architect of the Year. Thank you very much to the jury and the organiser, Building Design. We are looking for a committed, recent Part 2 graduate to join our studio to work on various stages of residential projects. 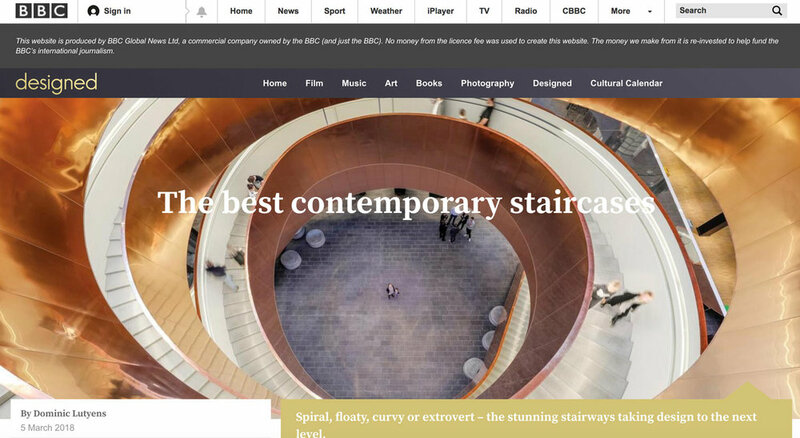 Our Marie's Wardrobe staircase is featured as one of the best contemporary staircases in an article, by Dominic Lutyens on the BBC website 'Designed'! We are delighted to have been shortlisted for the BD Architect of the Year Awards 2018 in the Refurbishment Architect of the Year category! Our project Marie’s wardrobe is featured in the publication, AJ Specification, issued today. Our stair drawing is on the front cover! We have designed and installed a stand for FINSA at the Surface Design Show 2018. The complete installation is made from only FINSA products; MDF, chipboard and hollow core planks. It is a 100 % CNC processed assembly. Our stand is totally demountable and can be reassembled in just one and a half days for each show. The 72 individual pieces are light enough to be handled, transported and erected by two people using simple tools. We are looking for an experienced Part1 and recent Part2 graduate assistant to join our studio. A Sketchup guru may have advantages and also physical model making skill is preferred. 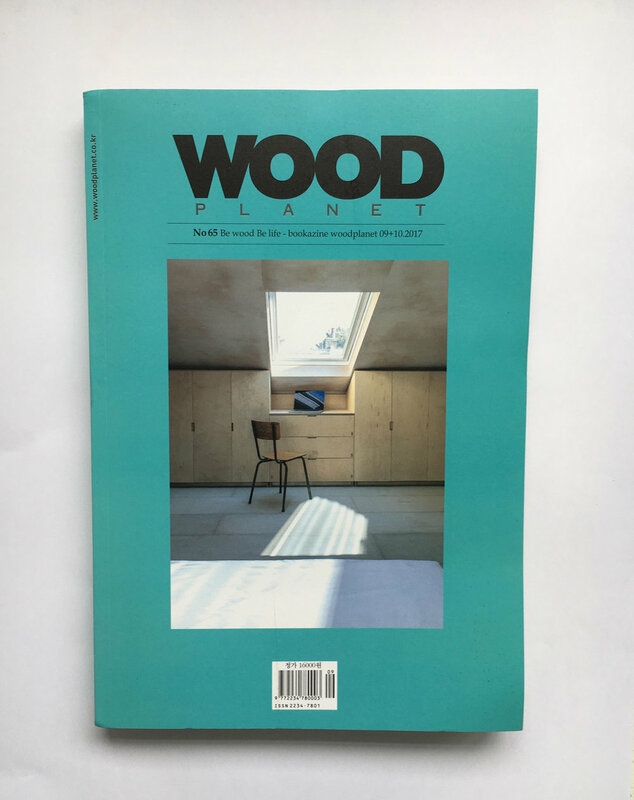 We have been featured in WOOD PLANET magazine from South Korea, Thank you Team! We are on Dezeen ! The article about our project, Marie's Wardrobe, is by Eleanor Gibson. Our project, House of Trace is included in this academic book, “Mobilising Housing Histories: Learning from London’s Past" by RIBA publications. David Kroll, a senior lecturer at the University of Sydney and Dr Sofie Pelsmakers of Sheffield university have written House of Trace as a good example of Victorian retorofit. Our recent project has been featured in The Guardian Weekend ! We are on the front cover of the RIBA 2017 Directory of Chartered Practices (The List 17). Thank you RIBA ! 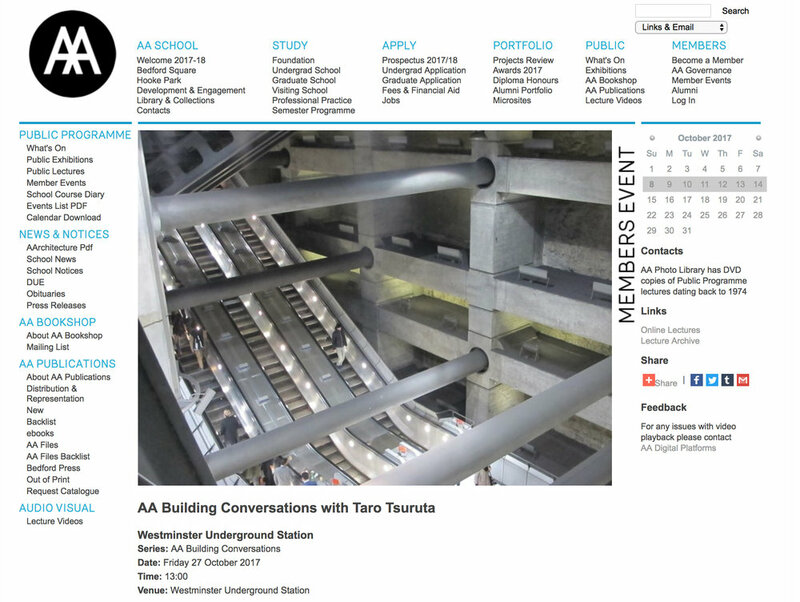 architectum # 19 magazine focuses on renovation and features an interview with Taro Tsuruta. New London Quarterly, Issue Twenty Six Spring 2016 , article on House of Trace by the editor David Taylor. Architects’ Journal Issue 0 4 , House of Trace is published as one of 25 projects short listed for AJ small projects award. Architecture Today Inhabit magazine Summer 2015 issue, House of Trace features as one of 7 houses in this issue.